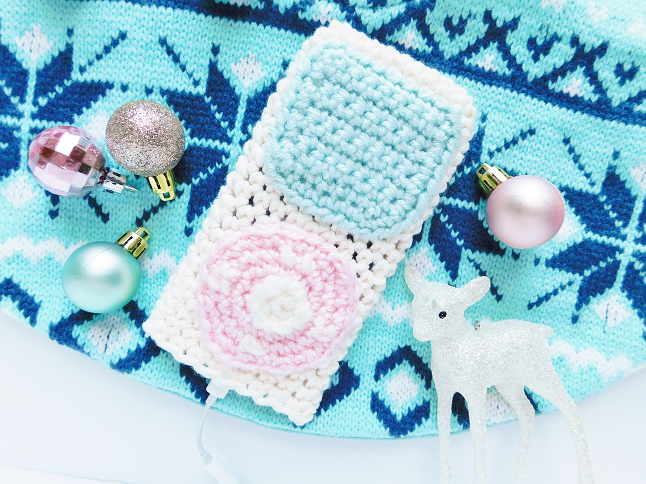 On the fifth day of 12 Days of DIY, I crocheted for you, an iPod video cozy! 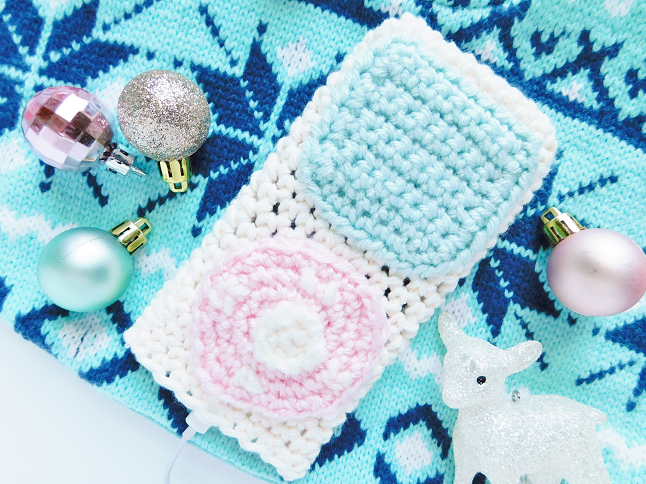 I wanted to make some sort of phone DIY which is when I got this idea to make this iPhone video cozy. 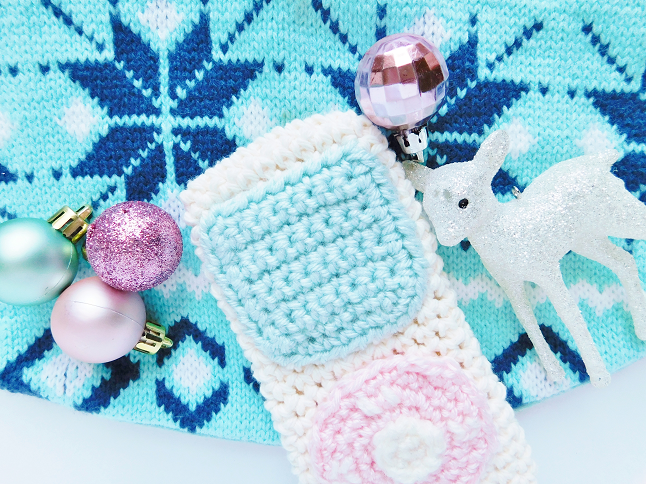 This cozy was made to fit my iPhone 7 but if you are an intermediate crocheter then you can probably adjust the pattern to fit any iPhone. My video iPod was one of my absolute favorite things back when I was in middle school I would use it all the time. It stored so much music and could even play music videos on the go. My iPod video held the music before I got into Kpop, such as emo bands and catchy pop music. Selling it was probably one of my biggest regrets but it barely worked anymore so if I still had it it would just be sitting in one of my junk drawers. I had the shiny black version (don't know want generation that was) but I always wanted a matte white iPod. Did anyone else had an iPod video? The first time I made this I didn't write down the pattern of the "screen" or the wheel so what the pattern I wrote down may look different from the cozy. 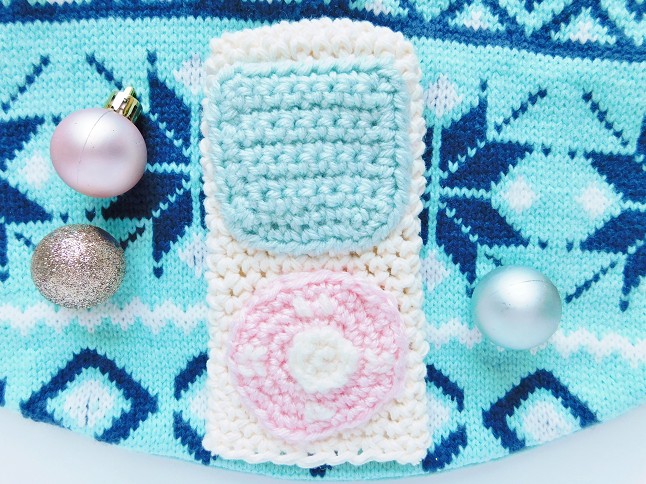 I crocheted the wheel and center button separately but if you want just one piece I would recommend changing the color of the center of the wheel to white if you don't feel like making the button. Sewing the center button to the wheel. 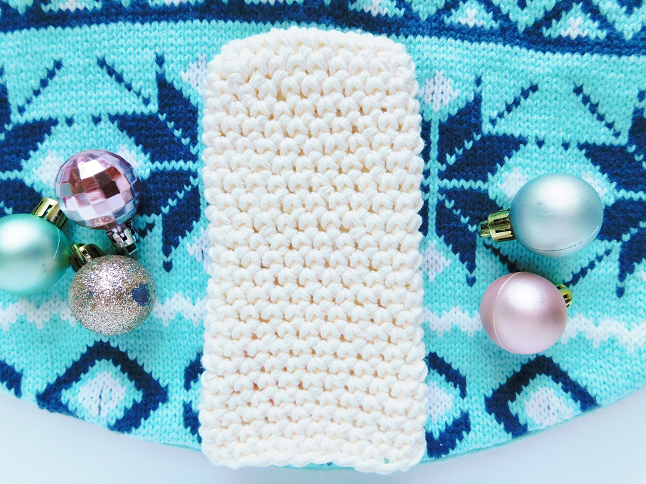 Using a scrap of white yarn "embroider" a play, pause, back, and fast-forward buttons. Align the screen and wheel to the correct places and sew down. Use sewing pins or lightly glue the pieces to keep them from moving around.